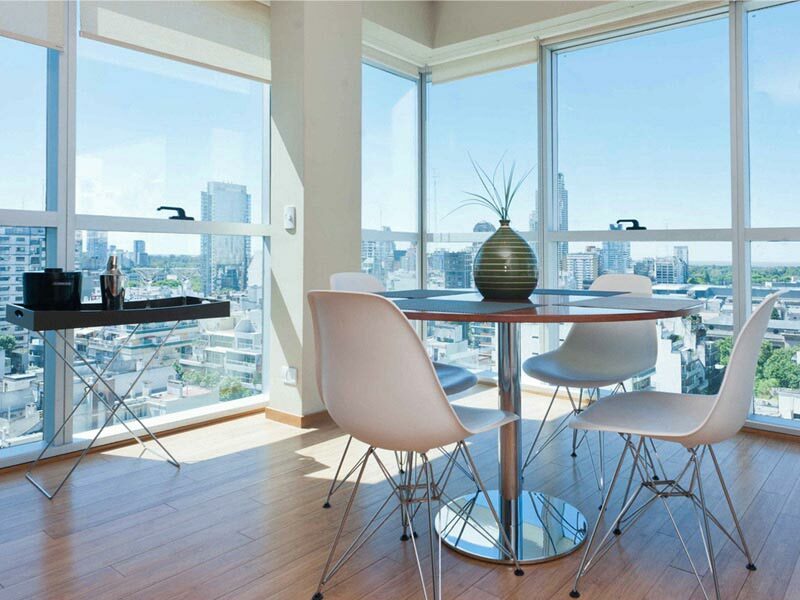 Apartment in Palermo Soho, Buenos Aires - Starlight III ! 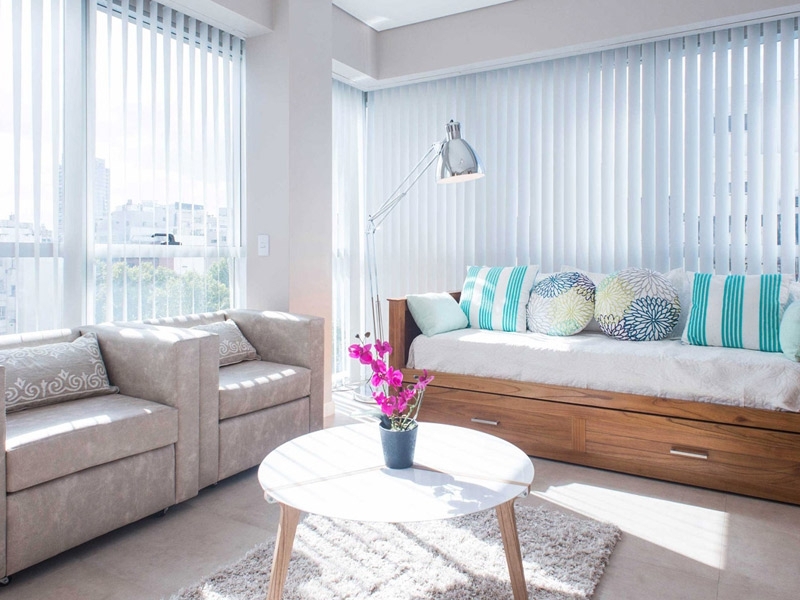 High end and high rise 560 square feet apartment with amazing views, well equipped gym and large pool and sundeck in Palermo Soho. This well appointed one bedroom apartment for rent in Buenos Aires reaches new heights, literally. Being located on the 19th floor of this newly built and high end luxury block, this apartment will certainly impress you. The open plan kitchen, with its contemporary feel comes fully equipped with everything you might need. The living area features a 32’’ screen TV, comfortable seating, dining area and access to the balcony, with panoramic views. The large glazed windows make this a light filled room from dawn to dusk. The bedroom, with a large double bed also benefits from amazing view and plenty of closet space.